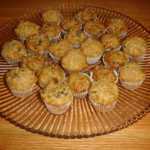 Here is a collection of baking and cooking recipes using raisins as one of the ingredients. This page will be updated on regular basis. 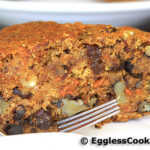 Unbelievably delicious sugar free, fat free, vegan carrot cake made with whole wheat flour. 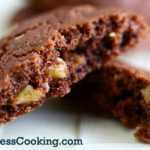 This vegan chocolate cookie recipe is a nice beginner recipe for those who want to start vegan baking. 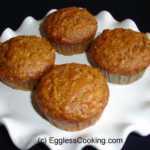 It's pretty much simple, straight forward and has a very good taste and texture. 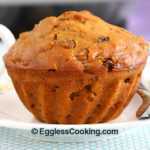 This vegan oatmeal raisin muffin recipe is a humble recipe without too many ingredients but plenty on taste and texture. 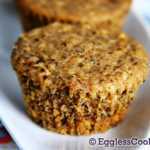 These "not-so-sweet" vegan muffins are perfect to pack with your kids' lunch or a great after-school snack. Of course, adding some mini chocolate chips would make it even more kid friendly. This was the very first cake I have ever baked and to my surprise it came out very well the first time itself. 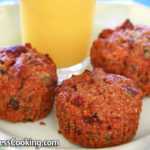 You can't go wrong with this carrot cake recipe. Very easy to bake, this pear cake is moist, sweet and gets and amazing texture from the cooked pears, plumped raisins and walnuts. 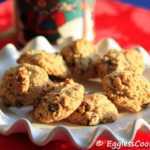 Don't let the name scare you away because these super healthy oat bran cookies without eggs will be a hit even with the kids. 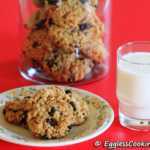 This cookie recipe is a proof that healthy and tasty doesn't have to be mutually exclusive. 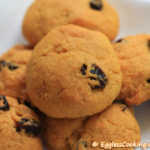 Wholesome cookies made with white whole wheat flour, oat bran and flax-seed meal, doesn't get any better.